This week's blurb comes from Lindsay Hunter, author of amazing books like Ugly Girls, Don't Kiss Me, and Daddy's. 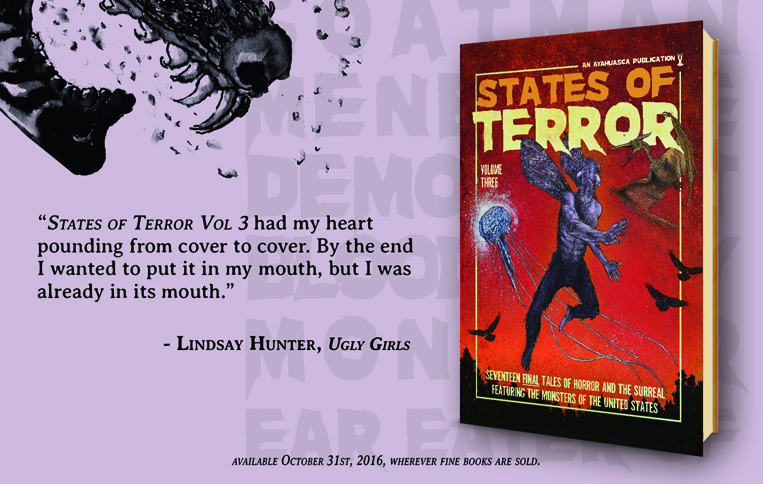 Lindsay writes on the raw, dark side of contemporary fiction and we're glad she dug SOT3 so much. We might have to make our new tagline, "Get into the mouth".